Customers are demanding more personalization from brands. And brands are trying to provide it -- with 70% saying their investments are driven by this need, according to the Data & Marketing Association (DMA) Business Report, a study released on Thursday by the DMA, conducted by Winterberry Group. The spending is worth it, as the respondents are enjoying the best sales revenue growth since 2011. Of the marketers polled, 76.6% say elevating the customer experience is a key business priority, and 57% say it is the top priority. In addition, the respondents increased their investments in all addressable media, including both digital and traditional channels. Web content received the largest budgetary boosts. Data-driven marketing expenditures grew at the highest rate in five years, according to the DMA. The respondents say the three most critical elements of delivering a best-in-class customer experience are: data management, personalization, and content. “Marketers are hearing directly from their customers about the importance of personalization and relevant messages,” states Neil O’Keefe, SVP of content & marketing for the DMA. 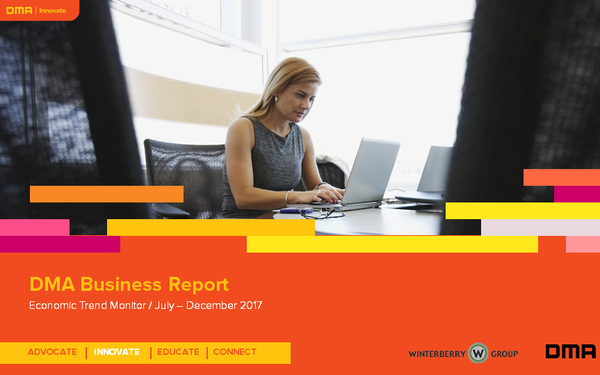 Winterberry surveyed 455 professionals, including 156 marketers and 215 marketing and agency services (including agency services) and technology providers.